Regulation of blood sugar, detoxification, regulation of blood protein, production of bile, formation of blood cells, production of heat, regulation of heat, breakdown of red blood cells, storage of vitamins, preserve blood and many more. 3. Gall stones: This disease is caused by precipitation of cholesterol in the gall bladder of an individual which block the passage of the duct. It causes yellowing of the skin or eyes, slow digestion and weakness of the body. 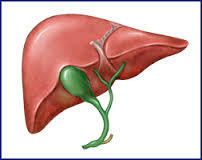 Based on the diseases and remedy discussed above, you now see reasons why we need to take care of our health especially the liver. In addition, the liver digest drugs and when you take more excess drugs like alcohol or even pain relievers, you stand a chance of damaging your liver base on the excess work load you are given to it. Just try as much as possible to avoid overdose of drugs, drug abuse and remember to eat more vegetables and vitamins so as to keep other organs in the body to work properly. Thanks for reading.